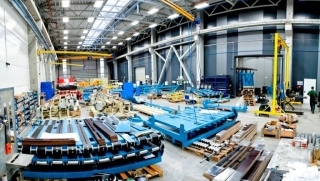 Arginta Engineering may be sold to foreigners after Lithuania's Auga Group has canceled a deal to buy the Vilnius-based customized metal structure designing and production company, the business daily Verslo Zinios reported on Tuesday, cites LETA/BNS. "I don't rule out a new buyer emerging, but it will be an international corporation based abroad, not a Lithuanian company," it quoted Arginta Engineering Director Tomas Jaskelevicius as saying. "We won't negotiate with local buyers any more. We have never worked with Lithuanian customers and we have no experience. We unsuccessfully tried once and won't make that mistake again," he said. Auga Group said last week that it was cancelling a 6.4-million-euro deal on the acquisition of Arginta Engineering, which it had announced in late January. The organic farming company is to pay a termination fee of 715,000 euros. Arginta Engineering's shareholders include Arginta Group, Giedrius Valuckas and Regina Jaskeleviciene. Arginta Group is owned by Irena Mrazauskiene, Gintautas Kvietkauskas and Arturas Mrazauskas.